NEW YORK -- Shares of Pep Boys are heading for their highest point in eight years after the company received yet another offer from activist investor Carl Icahn, putting the deal in the neighborhood of $1 billion. Shares of the auto parts and services retailer have been ratcheting steadily higher over the past two months as a takeover bid from Japanese tiremaker Bridgestone turned into a fight for control with Icahn, who boosted his bid for the Philadelphia-based auto chain on Monday to $18.50 a share in cash. That's up $2 per share from Icahn's earlier bid and its $1.50 better than the latest from Bridgestone Corp. The initial offer from Bridgestone was for $15 per share. Rumors of a sale rose more than two years ago with the exit of CEO Mike Odell and the arrival of three new board members who were nominated by a huge stakeholder in the company. The company's tire business has been under pressure and it has sought new ways to generate cash. Shares have jumped 78 percent from this time last year and were up 6 percent in premarket trading Tuesday and investors are waiting for more action from Bridgestone. About an hour before the opening bell, shares were hitting levels not seen since the middle of 2007. The fight over Pep Boys is a small part of an unprecedented year in mergers and acquisitions. The value of buyouts proposed and completed this year has reached a staggering $5.03 trillion, up 37 percent from just last year, according to Dealogic. It is the first time that takeovers have exceeded the $5 trillion level, fueled by extremely low interest rates. The Federal Reserve raised interest rates for the first time in nearly a decade less than two weeks ago. 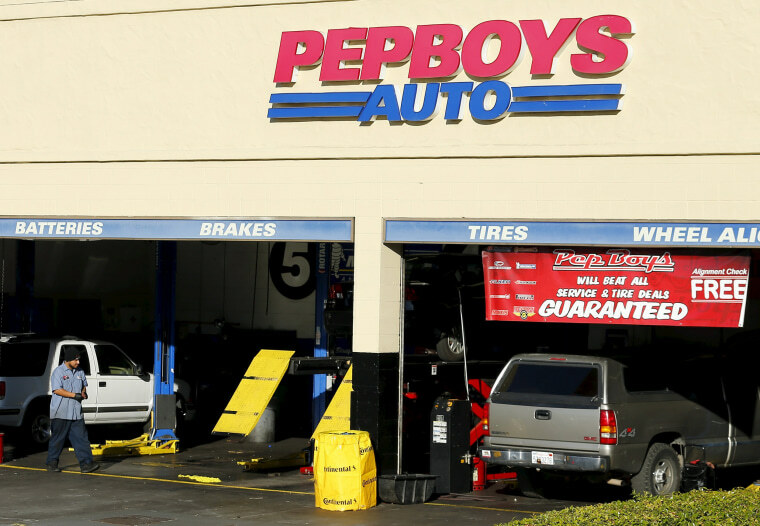 Pep Boys has about 800 outlets selling auto parts and offering vehicle maintenance.